Chinese New Year is an amazing experience here in Singapore, but as we all know, it can be a bit over the top with all the family gatherings, wild parties, and insane crowds. If you’re looking to escape the madness and do something a bit different this year, we’ve put together a list of cool CNY holiday ideas that aren’t your usual getaways. Whether you’re into secluded beaches, vibrant cities, or lofty mountain peaks, these destinations are sure to make this CNY ultra-memorable. 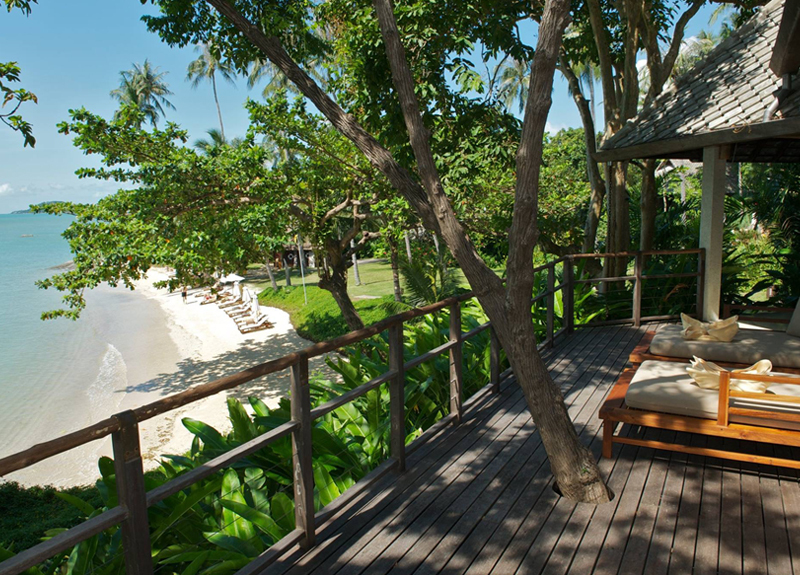 Skip the stress-inducing CNY celebrations and make a beeline straight for the tropical island of Koh Samui where you can squirrel away in a private villa next to the sea and indulge in pampering spa treatments and pure R&R. Koh Samui is home to some of the best spas in Thailand, so you’ve got plenty of options to choose from including luxe wellness retreats where you can design your own personalised programmes to soothe the body, mind, and soul. Spread out around an ancient cave once used by Buddhist monks for meditation, Kamalya is an award-winning spa resort offering a broad range of holistic programmes. Here experts in Ayurveda, massage, nutrition, and sound healing can help you focus on everything from weight loss to detoxing and stress relief. Even better, your digs include a stunning villa either next to the sea or hidden away on the lush hillside. If you’re looking to trade in the tropical heat for cool mountain air, Pyeongchang in South Korea is a good bet. This is home to the spectacular Taebaek Mountains, which get consistently good snowfall every winter. Hit the slopes at Yongpyong, South Korea’s biggest and oldest ski resort, or head over to the newer resort of Alpensia where the 2018 Winter Olympics were held. Where to stay: Modern comforts and Alpine-style class are on offer at the Intercontinental Alpensia Pyeongchang Hotel & Resort. Take your pick of classic rooms or stylish suites, each decked out with fine furnishings and amenities like high-speed Internet, LCD TVs, and mini-bars. Imagine being on a gorgeous tropical island surrounded by white sand, calm turquoise waters, and swaying palm trees with not a single soul around to disturb the peace. 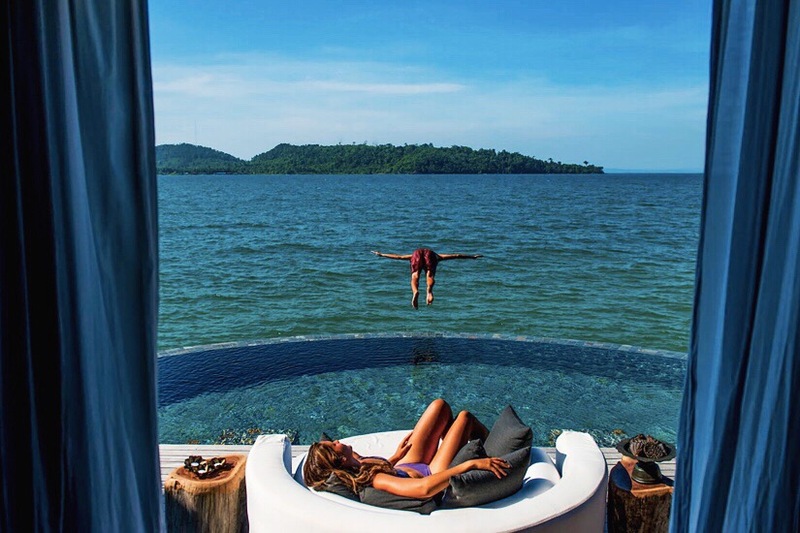 Welcome to Koh Rong, a stunning private island in Cambodia where you can really get away from it all, yet still have everything you need at your fingertips including luxury accommodation, gourmet cuisine, and five-star service. 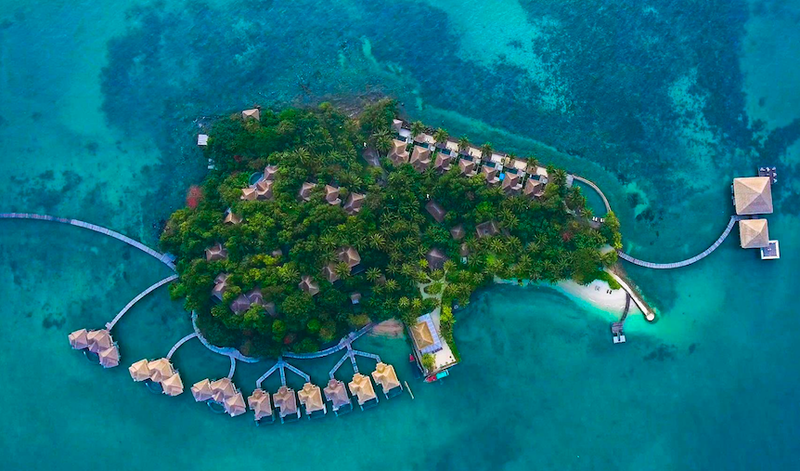 The peaceful and private villas of Song Saa were designed with local materials that blend into the natural environment, and each offers incredible views of the ocean from the open-plan spaces and wooden decks. One-bedroom and two-bedroom options are available, but if you really want to splash out, go for the two-bedroom Royal Villa with a huge pool that hovers over the ocean. Chinese New Year happens to fall right in the middle of the windy season in Mui Ne, which means kiteboarders from far and wide will be heading there to hit up the waves. If you’ve never tried kiteboarding before, this is the place to do it, as Mui Ne has tons of schools with experienced instructors who can teach you the basics and have you skimming the surf in no time. Anantara is renowned for their awe-inspiring resorts in spectacular settings around Asia and their Mui Ne property is no exception. After a long day of ripping up the waves, you can unwind in your serene suite or private pool villa, dine on five-star Vietnamese fare, and enjoy sundowners as you gaze out at rolling sand dunes and the ocean. If you have a decent amount of time off for CNY, San Francisco makes for a pretty awesome overseas trip. Think red cable cars climbing undulating hills, the iconic Golden Gate Bridge shrouded in fog, and a melting pot of cultures living in one very dynamic place. And if you feel like you’re missing out on the CNY festivities, just make your way to Chinatown for parades, dragon dances, and more. With only nine rooms set in a historic Victorian mansion, Chateau Tivoli has a lovely boutique vibe. Expect quirky touches like ornate wallpaper, stained-glass accents, and plenty of antiques. It also doesn’t hurt that you’ll be right in the middle of the city, so you’ll have no shortage of cool cafes, restaurants, and shops to hit up. Margaret River should be at the top of any foodie’s bucket list because this Western Australian region is renowned for its divine wines and delectable eats. Situated on the surf-battered shores of the Indian Ocean, Margs (as the locals call it) is a charming little town surrounded by vineyards and farmland. Spend your days visiting wineries, dining on fresh local fare, and enjoying breezy picnics on the beach. If you’re looking for cool accommodation in Margaret River, you can’t go wrong with Airbnb. Not so long ago we put together a bucket list of amazing Airbnb rentals in Margaret River, and one of our favourites on that list is Selador. Located just five minutes from the beach, local markets, award-winning wineries, and the Leeuwin Naturaliste National Park, this gorgeous home has a fireplace and a hot tub and can sleep up to six. The ancient city of Bagan is the perfect spot to escape the crowds and get in touch with your spiritual side. The plains here are dotted with over 10,000 Buddhist temples and monasteries that were constructed between the 9th and 13th centuries. The best way to see the temples is to get up early and take a hot air balloon ride so you can see the sheer scale of the site from high above. You couldn’t find a better location than the Bagan Thande Hotel, which is perched on the banks of the Ayeyarwaddy River and located inside the Bagan Archaeological Zone. The hotel has everything you would expect from a five-star spot including a beautiful pool, fully stocked bar, gourmet restaurant, and beautifully appointed suites with all the mod cons. If your dream holiday involves sailing the seas and exploring fascinating underwater worlds, then a luxe liveaboard voyage should be right up your alley. Alila Purnama is one of the most sought-after liveaboards in the region, as this 46-metre long teak wood schooner has been kitted out like a luxury hotel and offers amazing trips to some of the most exotic destinations in the Indonesian archipelago. Alila Purnama houses five gorgeous guest cabins outfitted with plush beds, air-con, Wi-Fi, and private ensuite bathrooms. When you’re not relaxing in your swish suite, you can meet up with friends and family in the library, lounge, bar, or dining room. The boat also has its own PADI dive centre with state-of-the-art equipment and gear.